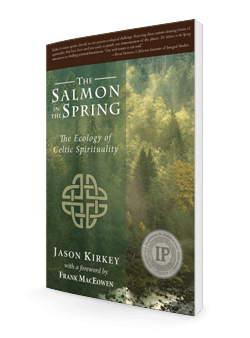 The Salmon in the Spring presents a new perspective on Irish myth, interpreting traditional tales through the lens of ecopsychology and Buddhist insight. 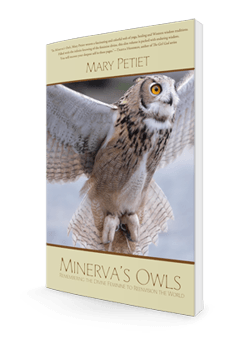 Kirkey’s readings are clear, compassionate, and respectful of the tradition while at the same time offering relevant openings for a global interest in Celtic spiritualities and their potential as a source for ecological healing in a time of great crisis. With exemplary honesty about his sources and inspirations, Kirkey weaves a poetic and poignant argument for the necessity of reexamining Western mythic models as we search for balance in a swiftly changing biosphere. 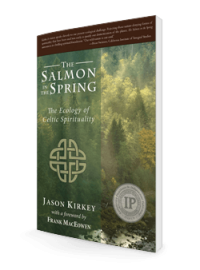 When I listen to Jason Kirkey retell the old tales and the ancient truths from the Celtic mystical tradition, I am encouraged that the wisdom of our ancestors can still inspire a modern spiritual life. 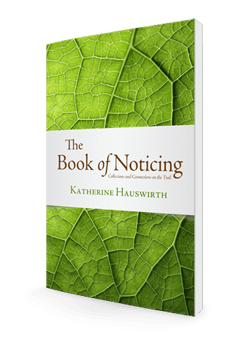 His “silver branch perception” helps us re-imagine ourselves as a species so we can live sane and relevant lives. 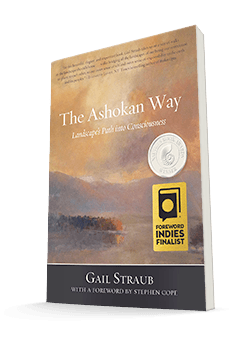 The Salmon in the Spring is an eloquent calling to be fully present and engaged in our time and place in both human and mythic history.